I don't have this option, I just materials and <ShipName>.mtl. are you using the obj exported by space engineer directly? Ettore_bilbo, this post should have links to all materials used by quarior14. this post should have links to all materials used by quarior14. I don't know if this was said before somewhere, but it should be noted that file names of the textures used in a model should have a unique name. e.g. in your hypothetical Odyssey 2001 mod, avoid names like material04.png and use instead Odyssey2001_material04.png. This is in order to avoid possible "texture hijacking" by other mods with a different texture and an identical file name. It happened to me when testing different mods. And I have Blender, if you can tell me how you have to change the materials, you just change the mtl file? And I wanted to import everything because I was also inside the vessel, unless you speak another useless polygon. I assume you also made my Rama ship ? Ettore_bilbo, OK, thanks for this tutorial for Blender. OK, thanks for this advice. DoctorOfSpace, okay. You are moderator and I think it has much to do in this forum and your addons . And you also have your life . if you can explain how you clean the polygons on Blender, I have not found I am new (4 days) to Blender ^^. Guys i need help please. i just downloaded this game and i want to know where to put the mods as the instructions are too confusing. the addon folder is empty. i do not know where to put the ships. can u help? 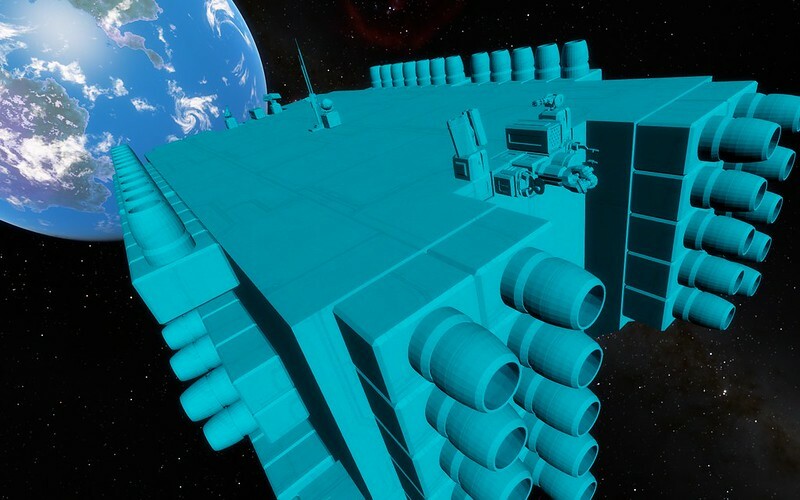 Space engineers in space engine. Brilliant!